Don’t miss “30 Days On The Ruth” a slideshow featuring IMG Guides Mark Allen and Ben Kurdt along with Mt. Rainier Park Ranger Phillipe Wheelock. 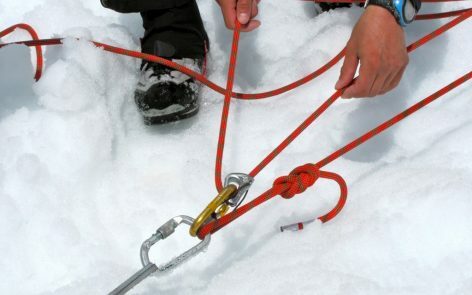 The slideshow will feature photos from their expedition to put up new routes in the Ruth Amphitheater in Alaska. Cause: All proceeds from the door and the raffle will go towards the Index Climbing Fund. Outdoor Research will also be donating 10% of their sales from that day to the fund. ***Space is limited so please call OR at 206-971-1496 to RSVP. And yes… snacks and drinks will be provided. IMG Guide Greg Vernovage dropped us an email from Kathmandu this morning and said that most of the team has arrived in Nepal and those that haven’t they’ll pick up along the way. So with most of the team on hand they had the Team Welcome Dinner at the historical Rum Doodle Restaurant. The team is in great spirits and are already getting along well despite their language differences. So with Visas in hand they’re off to Tibet!! Thanks again to IMG Guide Jenni Fogle for flying us around Mt Rainier! Yesterday, some of us enjoyed a leisurely morning shopping in the town of Aquas Calientes, while the remainder of us journeyed to Machu Picchu early in the morning to ascend Machu Picchu mountain. This was a very steep and strenuous climb up more Inca steps, and well worth the effort. Later that afternoon we boarded our train from Aquas Calientes for a beautiful and scenic ride which included some cultural entertainment along the way. The cultural entertainment continued in Cuzco during our celebration dinner with an excellent Peruvian band. The end of the evening was spent learning how to Salsa dance at one of Cuzco’s well known discos. Some of the highlights of the 2009 Machu Picchu trek included ascending the many rock steps of the Inca trail up the Abra de Huarmihuanusca (“Dead Womans Pass”) at an elevation of 13,769 feet. Our second pass, Abra de Runkuracay, 13,113 feet, brought us to Phuyupatamarca (“Cloud-level Town”). 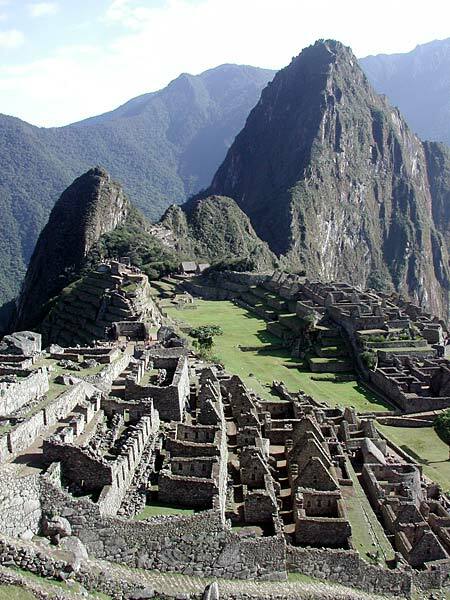 The day at Machu Picchu itself was a sight that can only be witnessed in person. We were extremely lucky to catch some of the first sun rays of the day from our first vantage point at Intipunku, the gateway to the sun. 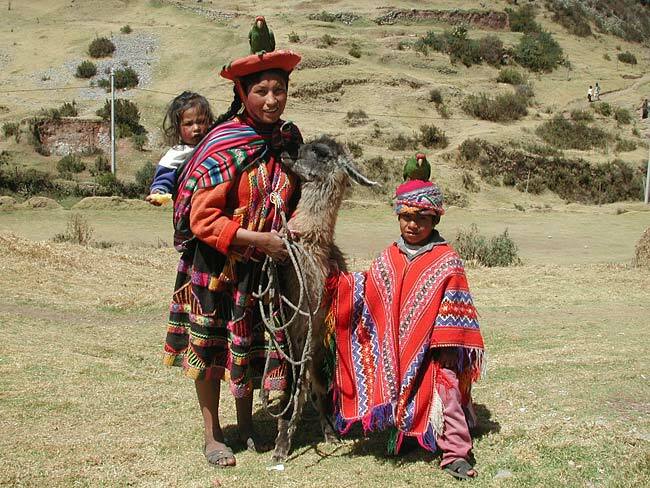 So now we have come to the end of our 10 day journey and we have all safely arrived back to the city of Cuzco, Peru. We will all now travel together to Lima by plane and take our respective flights back home. I cannot thank our Peruvian IMG team down here enough for making this a trip of a lifetime. The teamwork of Jamie and Maximo, our Peruvian guides, represented to us that they are truly passionate about their country. We are extremely grateful for their hospitality. Everyone that participated on this trek did an amazing job, it’s just too bad we don’t have another week to spend together! 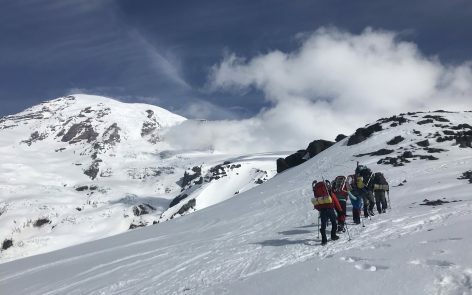 Elbrus Summit and the 7th Summit for Chris Burrows! Phil has called in a couple times but the Sat phone connection was too rough to understand what he said… He called in again today to say that they’re off the mountain in Terskol, Russia spending their last day in the Caucasuses. 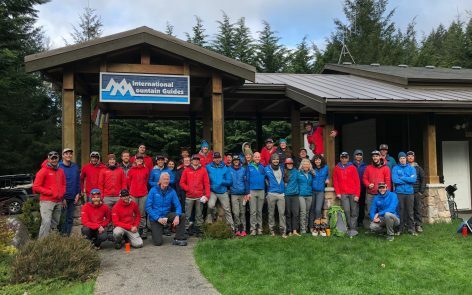 Some or all of the team must have summitted as Phil mentioned that they celebrated the last of Chris Burrows’ 7 summits! An amazing achievement which Phil recognized by presenting Chris an IMG embroidered Outdoor Research Mithril Jacket. A small gesture for all the hard work and countless hours training, but a nice token of congratulations nonetheless. The team will head to Moscow early tomorrow and spend the afternoon and part of the following day touring the city. They’ll catch a flight back to the states shortly there after. Sounds like another successful trip to Russia – but we’ll wait to get the concrete details in a day or two. 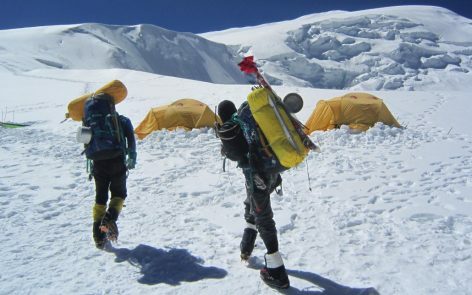 Eric Remza called in today on the second day of their Machu Picchu Trek… They’ll get as high as 14,000ft. today but sleep at around 10,000ft tonight at Pacamayo. All is well and the team is doing great! We are all in the Peruvian city of Cuzco at an elevation of 11,000ft. Today [Aug. 7] we spent the afternoon touring many of the cultural landmarks around the central quarter of the city. Some of the highlights included Cathedrals, ancient Inca ruins and the local Spanish inspired Colonial architecture. Now we are preparing for the 4 day trek on the Inca trail to Machu Picchu. We have been doing our best to remain properly hydrated and well fed. Eating and drinking are the two of the biggest things we can do that will help our bodies acclimatize to the thinner air. Our day tomorrow includes a visit to the local ruins of Sacsayhuaman as we travel to the Sacred Valley. I’m looking forward to sharing this experience with our group members and cannot wait until we begin the pilgrimage to the 8th wonder of the World. Yesterday [actually Aug. 5] we toured around St. Petersburg and had the privilege of touring the Peter and Paul Fortress, St. Isaac’s Cathedral and the Hermitage Museum. The favorite by far was St. Issac’s [pictured below]. We rounded out the day with an evening canal tour and a late dinner at a nice German restaurant. A wonderful way to end our day! The following morning [Aug. 6th] we flew from St. Petersburg to Mineralnye Vody and then drove to our hotel in the town of Terskol. Several cows were encountered and dodged along the way! All is well. 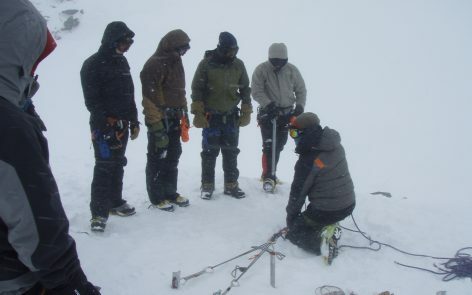 The team went for an acclimatization hike yesterday and will do some training today with plans of climbing tomorrow. 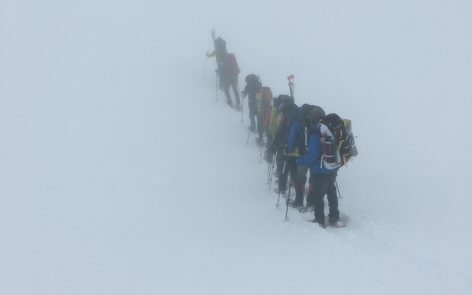 Weather is good and the team is doing well… Next update will be after the climb. 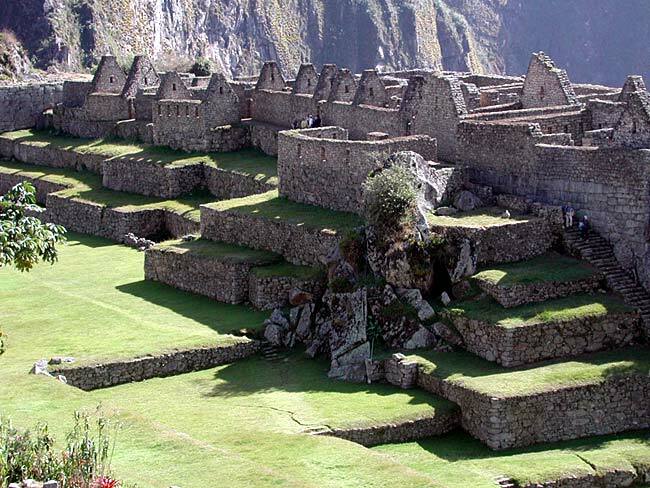 IMG Guide Eric Remza is leading this year’s Machu Picchu Trek… Not a bad way to spend the next 10 days! Eric has promised to check in from time to time… we should hear from him in the next couple days. Phil just called from St. Petersburg. Everybody arrived safely and all baggage is accounted for. Weather is good… the group starts their tour in and around St. Petersburg tomorrow.